GET 15% OFF ANY PRODUCT WHEN YOU ENTER CODE 90F2F90 AT CHECKOUT! Our inventory includes wire management….grommets….power distribution systems….voice and data lines, the veins and arteries of work stations and cubicle furniture. Seldom seen but critical to function, architects and designers in the office industry are constantly challenged to make affordable and effective choices when specifying these elements. Event Horizon was created to help them do so. As our company case study link shows, a recurring challenge for the design teams often involves location and installation of power, voice, data and communications equipment. Wire management systems, raceway design and location and even such mundane considerations as proper grommet specification could make the difference in a unified work environment being created both timely and affordably. As Nick worked his way through the industry, he increasingly identified the importance of providing the custom design teams with specific and frequently quite exacting solutions. Event Horizon began as a collateral tool for his rep business and took shape and evolved into its current form. Event Horizon is a specialist in a sprawling market. The company concentrates its product lines into the very specific electrical outlets, wire systems, grommet selections, data cables, ergonomic keyboards, power configurations and related items called for when systems need to be “user friendly”. Nick and his support staff are thoroughly knowledgeable about the technical and practical applications of the products that transform panels and pieces of furniture into cohesive and productive work spaces. The company has evolved over the past ten years. Initially serving primarily as a web based platform that sold power, data, voice and communications lines, as well as the aforementioned hardware, (grommets, standoffs, etc.) and panel system accessories, it has now reached the stage where it is a fully developed resource base for the design community. The company provides extensive literature and online product information and mans a rapid response virtual support network that is available for real time collaboration and assistance to end users and their agents. 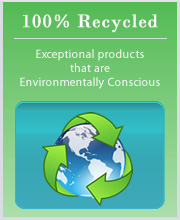 Cognizant of the importance of sustainability and the desire to deliver affordable “green solutions”, the company stays abreast of all field related matters that apply to its products (and features a select grouping of green products as stand alone or easily integrated work space pieces). Several grommets and all standoffs are recycled aluminum. The company has recently added lines of reclaimed furniture including metal tables. Recognizing increasing interest in the general public in having access to uncommon, yet affordable designer items and accessories, Event Horizon works in tandem with its sister company, Form2FunctionbyDesign. This affiliation allows the company to broaden its global reach into the general public while continuing its policy of vertical expertise needed to serve the particular needs of the A&D community. While Form2Funtionbydesign delivers stylistic resources, Event Horizon solves specific challenges that routinely arise in the systems and case goods areas addressed by architects, designers and space planners. We invite you to review both sites and take advantage, whatever your level of interest, in the virtual customer information and support service we provide. Sign up with just your email and we’ll send you our current newsletters. We think you will understand why cutting edge furniture fabricating firms like Tangram Studios, Goldfish, DTank and others have come to Event Horizon when they encounter design challenges. At Event Horizon, we stock products, but our most valuable commodity will always be our inventory of solutions.